How on earth is it February already!? January seems to have sped by (and thank goodness for that! – But still remember to resist and persist in February) What have you guys been up to this week? I’ve been applying for jobs, learning how to use Adobe Premiere Pro and doing blog related awesome things. I’ve also been meeting up with some old friends and its very much like ‘The Golden Girls’ when we meet up; though minus the crude jokes. Also streaming service Hulu is sharing the entire back catalogue of The Golden Girls episodes on 13th February. I’ve never been so excited since I purchased all twelve seasons of Murder, She Wrote. Yes. All Twelve. What can I say I have a thing for 80s sitcoms/murder mystery shows! The British Department of Culture, Media and Sport found that British museums and galleries had two million less visitors in 2016 than 2015. This is due to lack of big exhibitions and fears over terrorism. For someone who makes a living in museums this is worrying. We need visitor numbers to justify funding! February is black history month and this fascinating women, Charity Adams Earley, was the first Officer in the American based Women’s Army Corps (WAC) in World War Two! Two years ago I went to Riga, the capital city of the Baltic country of Latvia. It was one of the best weekend trips I’ve ever been on and I’d highly recommend it to anyone looking a short break away. This blog post might entice you to go to! As someone who loves vintage fashion and wears vintage or is inspired by vintage on a daily basis, this post about why the vintage world seems to be so ‘white’ (when it isn’t) from Flashback Summer is an interesting read. This is a great article on how it’s important to have a balance in our lives when it comes to fitness and nutrition. Especially if we tend to over do it on certain types of exercises, like HIIT or cardio! I have set classes I do every week (as I enjoy them) but the writer of this article was going running everyday which led to high stress levels! A great list of Oscar nominated films that you should definitely see. Including Hidden Figures and Jackie. Finally, I’ll be cooking this for tonight’s tea. I love Spaghetti Bolognese. I’m getting hungry even thinking about it! (c) Rachel Sayers 2013-2017. 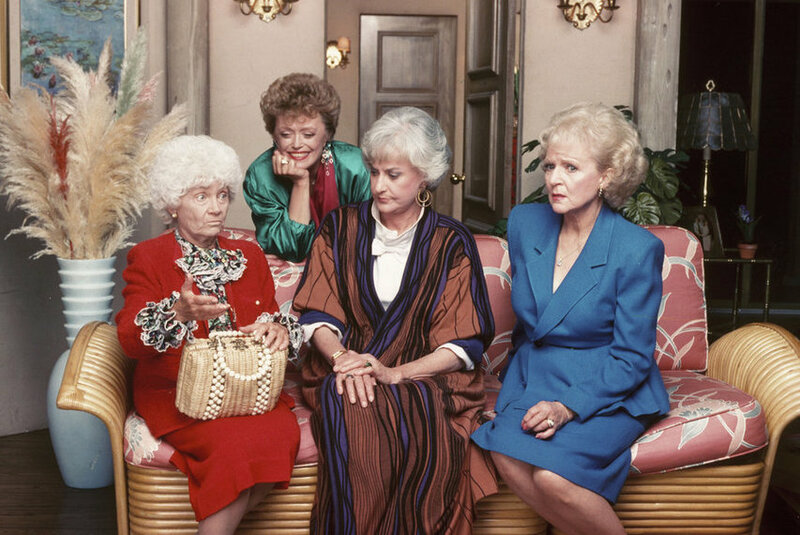 Photo of The Golden Girls via The Tampa Bay Times.